To deliver the most live coverage of the Special Olympics ever, ESPN this week deployed one of its largest and most complex at-home productions to date, connecting its operation in Abu Dhabi with its broadcast center in Bristol, CT, via redundant IP links. In addition to sending live competition feeds to Bristol for streaming on ESPN3, the broadcaster transferred more than 15 TB of ENG footage back home over the past week and deployed a Bristol control room to produce its nightly onsite studio show as a REMI [remote-integration] operation. 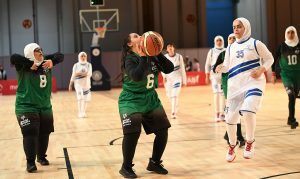 Abu Dhabi hosted the Special Olympics this week, the first time the event has been held in the Middle East/North Africa. ESPN’s coverage of the 2019 Special Olympics World Games Abu Dhabi kicked off with the Opening Ceremony on March 14, airing a three-hour special live on ESPNEWS. 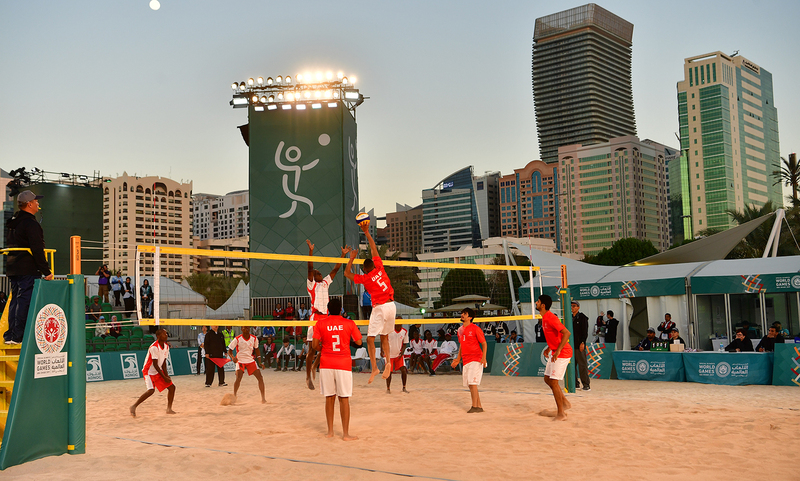 Working with host broadcaster Abu Dhabi Media, ESPN3 streamed multiple live feeds each day throughout the Games (March 15-22), delivering more than 175 hours of live coverage across multiple venues. 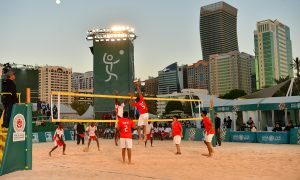 And, each night, 2019 Special Olympics World Games aired live on ESPN2, ABC, or ESPNEWS from a set at the Abu Dhabi Sailing and Yacht Club at Corinche Beach. In addition to the U.S. domestic coverage, ESPN’s coverage reached more than 200 countries through its own branded television networks, digital streaming services, ESPN sub-licensees, and multiple syndication partnerships. Abu Dhabi Media provided ESPN with six venue feeds and an overarching world feed — all of which were transmitted to Bristol for streaming on ESPN3. This represented a significant increase in content for ESPN’s coverage compared with previous years. In terms of its onsite footprint, ESPN shipped 14 tons of equipment from the UK, U.S., and Australia by air and built a production facility inside the IBC at the Zayed Sports City Stadium in just 10 days. ESPN delivered more than 175 hours of live Special Olympics coverage, including Basketball, Track & Field, Swimming, Football, Volleyball, Sailing/Kayaking, Equestrian, and Powerlifting. Baker adds that the Opening Ceremony on March 14 presented a particularly challenging logistical effort since the host-production mobile unit was several hundred yards from ESPN’s production compound. However, ESPN was able to coordinate cable interconnects, camera positions, and more to ensure that each entity had a successful broadcast. Transportation also proved to be a big challenge in Abu Dhabi. To deliver the host feeds to Bristol and serve various at-home workflows, ESPN relied on redundant 1-Gbps links between its set at the Yacht Club and the IBC and redundant 2-Gbps links between the IBC and Bristol. Locally, ESPN had 450 Mbps of data connectivity and four bidirectional J2K video feeds between the IBC and the set at the Yacht Club. In total, ESPN sent 12 video feeds from the IBC and six venue feeds to Bristol throughout the Special Olympics production. “It was a challenge establishing the fiber services from the Abu Dhabi Sailing and Yacht Club back to the U.S.,” acknowledges Baker. ESPN’s host set, which was located at the Abu Dhabi Yacht Club, was a full REMI production: four camera feeds and all microphone feeds were sent to Bristol, where the nightly Special Olympics show was produced out of a dedicated control room. ESPN deployed seven ENG teams in the field to cover events and transferred all media from Abu Dhabi to Bristol for use by the edit team and production of the nightly studio show. All ENG footage shot by ESPN and Abu Dhabi Media was shared at the IBC. As of Thursday morning, close to 15 TB of ENG footage had been transferred to Bristol over a 1.4-Gbps Signiant pipe. “We were able to achieve the fastest Signiant transfer rate of 1.4 Gbps since ESPN’s REMNAS [Remote Near Access Storage] workflow began,” says Baker. The ESPN operation also used 32 channels of communication via a Unity intercom server between the U.S. and Abu Dhabi, with Dante-based comms and IFBs onsite. ESPN’s week-long live coverage concluded today and will be rounded out with a two-hour program on ABC on Saturday, March 30 at 3 p.m. ET, providing highlights from the Closing Ceremony and from the week of coverage.